Climate change (also sometimes called global warming) is the warming up of the planet above the temperature it is expected to be from recent experience. The global average temperature is rising at a rate far faster than ever before and it is thought that it may be the activities of the human population over the last 150 years or so that is causing it. Misconception 1 - Climate change is just a theory and scientists disagree about whether it is happening and whether it is anything to do with human activity. There is a very strong scientific agreement in the scientific community that Climate change is happening and that it is a result of man's activities in releasing carbon into the atmosphere that was locked away for millions of years in fossil fuels. There will always be people who argue the opposite to any idea and they are vital to avoid blind adherence to what may turn out to be incorrect and to encourage further investigation and refinement of ideas. There comes a point however where an alternative idea becomes something only considered by the occasional maverick (and don't mavericks love the idea of being a maverick?) and then just becomes something that isn't considered seriously any more. There is also the fact that many of the people and articles that doubt global warming are sponsored by the oil and related industries. Many who doubt mans influence on global warming by releasing carbon dioxide from fossil fuels are driven by a dislike of taxes that are being raised by politicians as a result. Arguments frequently start with not wanting to pay tax and end up with deciding global warming is not happening. 97% of climate scientists agree that climate warming trends over the last 100 years are most likely the result of human activities. 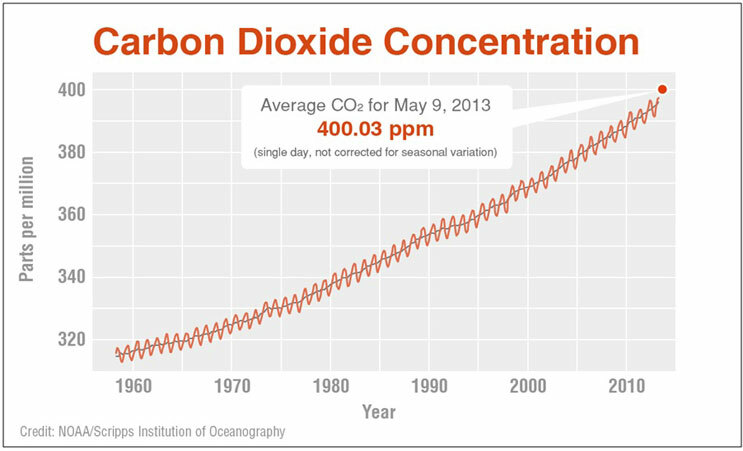 Misconception 2 - The amount of carbon dioxide hasn't risen enough and there is only a tiny amount of it anyway - it can't possibly make any difference. The amount of atmospheric CO2 has gone from 0.0284% to 0.04% (or 400 parts per million, ppm) between 1832 and 2015. That's a 0.0116% increase in the amount of CO2 in the atmosphere, or an approx. 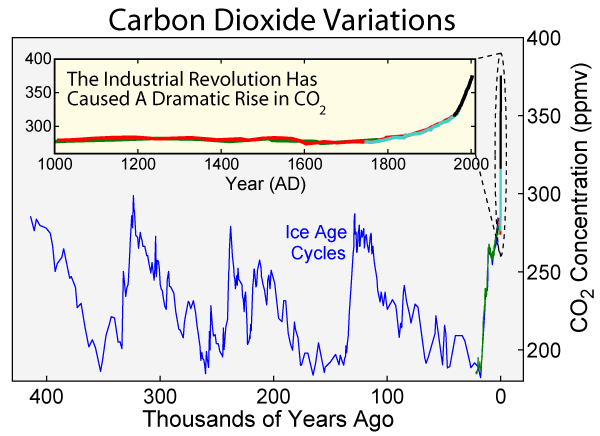 40% rise in the amount of CO2 compared to pre-industrial levels. The amount fluctuates slightly over the course of a year. In 2012 it first reached 0.04% in the Arctic, in 2013 it reached this in Mauna Loa, Hawaii where systematic measurements of carbon dioxide first started in 1958. In May 2015 it reached 0.o4% or 400 parts per million as a global average for the first time. Half of this rise from the 1832 starting point has happened since 1980. Current CO2 levels. If we consider the atmosphere to the top of the layer known as the stratosphere, this takes us up to 50km from the surface, the atmosphere goes beyond this to 690km, the edge of the "thermosphere" and beyond, but this will do for now. 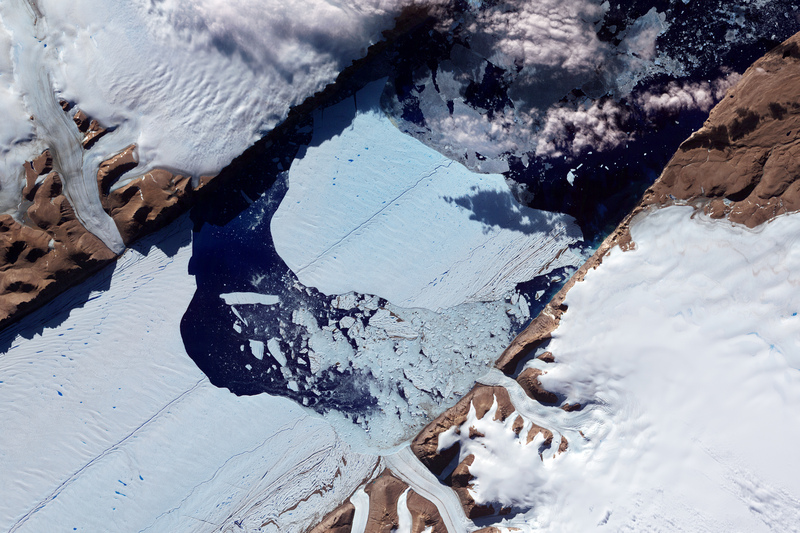 If all 0.04% of this that is CO2 was collected in a single layer, it would be 20m thick (over 65 feet). To try and put it in some kind of context, compare this to another atmospheric gas you may have heard of, ozone. The ozone above our heads protects us from ultra violet rays from the sun, without it life on earth as we know it would be impossible (the immediate effects would be appalling sunburn on overcast days). If the ozone above our heads were collected together in a continuous layer it would be about 3mm thick (1/8th of an inch) by comparison the 0.04% of CO2 at 20m is a huge thick duvet. Misconception 3 - Global warming can't be true as the temperature in some places is stable or falling. Climate change models differ as to the exact effects of where and to what extent temperatures will change, but they all have one thing in common - that the effect of global warming is not uniform. Different parts of the world react in different ways and one of them is that in the early stages (where we are now) the temperature in some parts of the world will actually fall or at least remain stable which is what is being observed in East Antarctica for instance. Eventually as warming advances, then most or all parts of the world will rise in temperature, though again - not at a uniform rate. Misconception 4 - Global warming is a good thing as I don't like the cold. Well maybe from a egocentric point of view it could be a good thing. I live in the UK and many projections show that this will increasingly become a more predictably warm, more attractive and more pleasant place to live. The areas that benefit however will be greatly outweighed by the parts of the earth that become too hot and dry to inhabit. Coastal towns and cities, including some of the worlds greatest cities may be flooded and so have to be abandoned or extensive flood defence barriers will need to be built if that is possible. Hundreds of millions of people could suffer from climate change, the winners will be a small proportion by comparison. Misconception 5 - Volcanoes contribute most of the CO2 released into the atmosphere each year. Less than 1% of annual CO2 emissions come from volcanoes. Scientists have calculated that volcanoes emit between about 130-230 million tonnes (145-255 million tons) of CO2 into the atmosphere every year (Gerlach, 1999, 1992). This estimate includes both subaerial and submarine volcanoes, about in equal amounts. Emissions of CO2 by human activities, including fossil fuel burning, cement production, and gas flaring, amount to about 22 billion tonnes per year (24 billion tons) [ ( Marland, et al., 1998) - The reference gives the amount of released carbon (C), rather than CO2.]. Human activities release more than 150 times the amount of CO2 emitted by volcanoes." Misconception 6 - If you do the sums, it just doesn't add up, we don't produce enough carbon dioxide to make any kind of difference. The atmosphere consists of a VAST amount of air, so even billions of tons of CO2 doesn't push the actual portion up that much. Unfortunately though CO2 is incredibly effective at being a greenhouse gas and so tiny amounts make big differences. The figure in the air is around 0.04%. There's also the fact that the oceans have been absorbing a lot of the CO2 produced, so all of that extra produced is not actually in the atmosphere. How much carbon dioxide is released by a car? 1g of octane (the chemical name for the main component of petrol or gasoline) takes 3.5g of oxygen to burn it fully. This is 1 molecule of octane to 12.5 molecules of oxygen. The complete combustion (burning) of 1g of octane produces just over 3g of CO2 and 1.42g of water, 8 carbon dioxides and 9 water molecules. This is the counter-intuitive part in that 1g of a tangible substance (petrol - octane - an easily visible liquid) is producing more than 3g of CO2 an invisible, odorless, colorless gas. But the science all adds up correctly. This means that for a petrol (gasoline) car, the mass of CO2 emitted is 3 times the mass of petrol burnt. Worth thinking about next time you're standing by the pump as all the fuel goes flooding into the tank, 50L of petrol weighs about 37kg, this is the equivalent of 111kg of carbon dioxide being released per tank full. Misconception 7 - The extra water vapor created by kettles, showers, baths, steam cleaning, car washes, cooling towers, industry, angry teachers etc. contribute to climate change. The amount of water vapor the atmosphere can hold is largely a function of the temperature of the air, if water vapor is kicked out into the atmosphere but the temperature isn't right, the physics won't work and it will condense out, carbon dioxide doesn't work like that. Water vapor may add to the effects of global warming by adding to the earth's heat retentive blanket in a positive feedback effect. More carbon dioxide means warmer temperatures, means more water vapor in the air, means warmer temperatures. Water vapor alone is not the reason for global warming and certainly not the starting point. Misconception 8 - Carbon dioxide released from fizzy drinks is a contributing factor to climate change. The good news is that nearly all industrial carbon dioxide is reclaimed from processes that release it in the first place rather than generate it specifically for another use - so it is nearly always recycled. Of course that does mean that it has been released, but it's cutting down on the amount a little at least. The carbon dioxide that fizzes your drinks up today could have come from burning fuel, yeast that were busy making beer or some chemical process that releases it as a by-product. We breathe out carbon in carbon dioxide as a by-product of respiration, the more we respire the more we produce. The carbon comes into our body in our food and the oxygen comes in by breathing. This carbon in the food we eat is a part of the natural carbon cycle whereby plants and animals are balanced. It does not contribute to global warming as it will be recycled when it is taken in by a plant for photosynthesis via carbon dioxide in the air. The problem with carbon dioxide and climate change comes from carbon released from fossil fuels where the carbon has lain locked up in a carbon-sink for many millions of years and is now released into the atmosphere. If we didn't burn fossil fuels (or do other processes such as making cement) then mankind would pretty much carbon-neutral - as we were before the industrial revolution.